This time of the year is perfect for all kinds of yummy goodies!!! 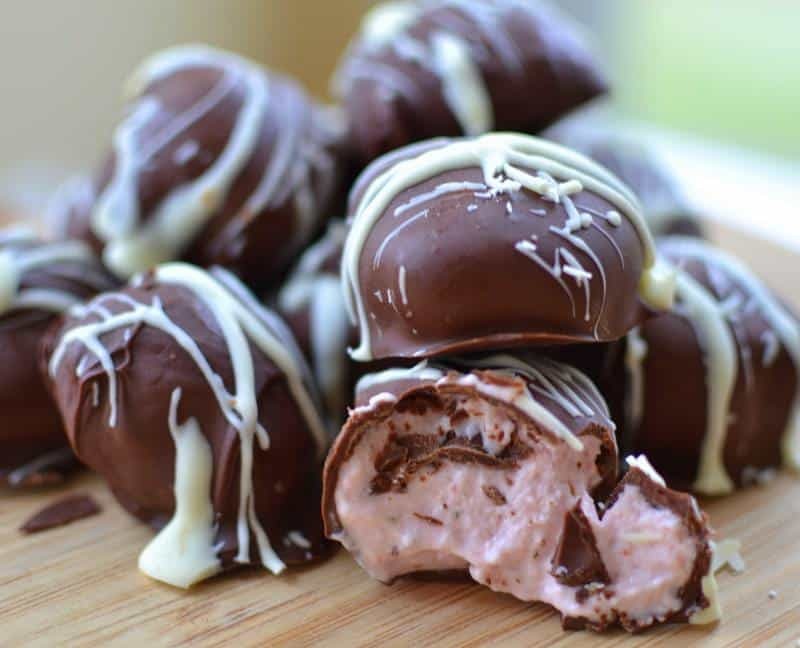 Are you a lover of all things creamy and chocolate? Do you love fudge but don’t want the hassle of finding your candy thermometer and stirring till you feel like you need an ice pack for your arm. Not to mention that if you don’t get that cooked fudge to just the right temperature for just the right amount of time you are not going to end up with the creamy result you are looking for. Instead you will end up with with grainy gritty pieces that you have to throw away or pawn off on the neighbors!! This easy microwaveable Foolproof Almond Joy Fudge is your answer to beautiful creamy delicious fudge with very little effort. No candy thermometer, no broken arm, and no messed up fudge that you have to find a home for!! Instead you will have wonderful pieces of creamy goodness that you can be proud of!! Your friends and family will be showering you with praise and compliments. They never need to know that you whipped this beauty up in a whole whooping five minutes. Let’s just keep it our little secret. I won’t tell if you don’t tell!! 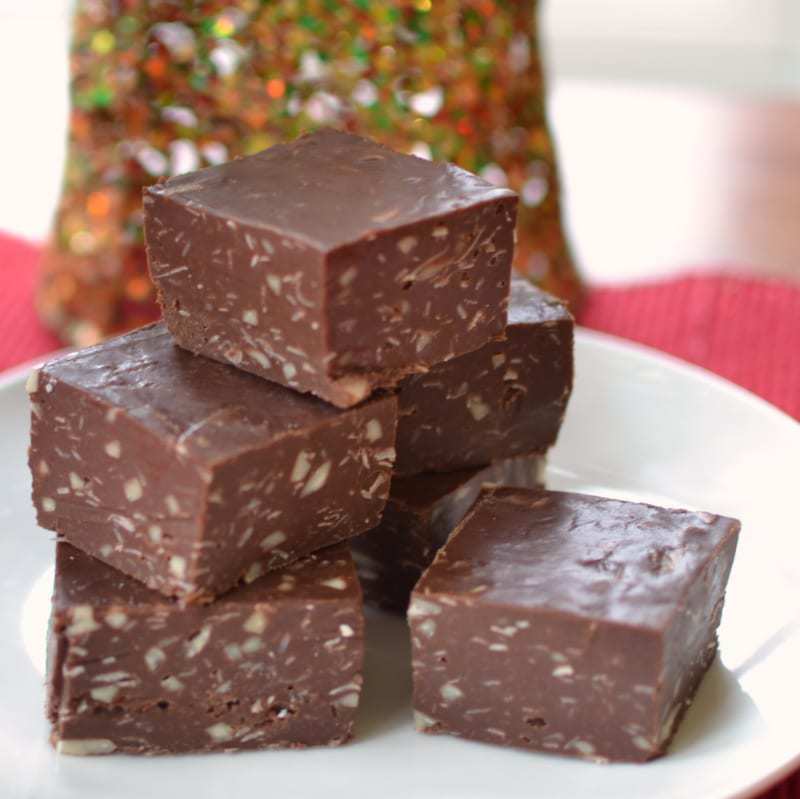 Foolproof Almond Joy Fudge is a sweet creamy combo of chocolate, almonds and coconut! So if you have five minutes and the desire to make a creamy sweet treat to share with your loved ones I got your back. In large microwavable bowl add chocolate chips, sweetened condensed milk and butter. Cook in microwave at 50% power until chips are melted; approximately 3-5 minutes. Stir a couple of times during the cooking process. After chips are melted quickly stir in coconut and almonds. Pour into parchment lined pan and smooth with the back side of a spoon lightly sprayed with nonstick baking spray. Refrigerate until set. 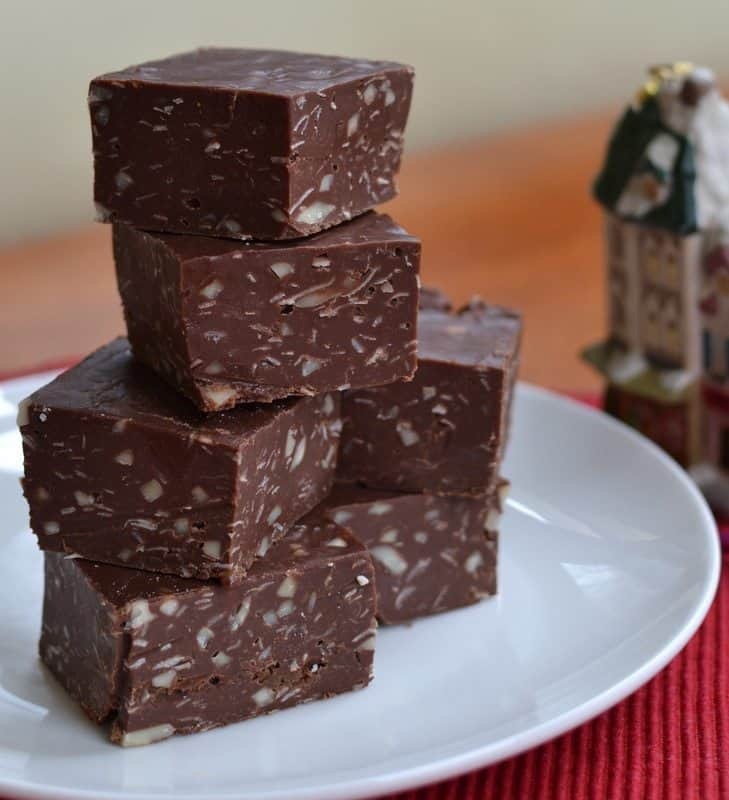 Using the overhang lift fudge out of pan and place on cutting board or plate. Peel off parchment paper. Excuse me, but how many pieces does this recipe make? Thank you in advance. Can I substitute pecans instead of.tthe almonds And omit the coconut? could I use peanut butter chips to make a peanut butter fudge? 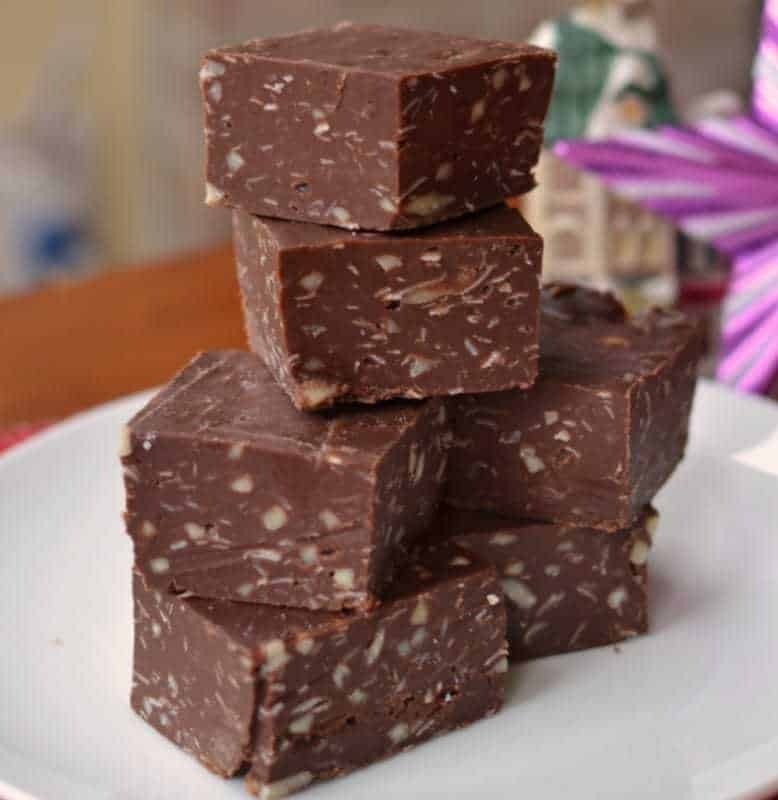 I think I would find a peanut butter fudge recipe just to be safe…You can google microwavable peanut butter fudge and see if you can find a highly rated easy one. Is it possible you cooked the mixture in the microwave longer than just being melted? Not trying to throw around accusations. I just know that chocolate can be sensitive to melting. 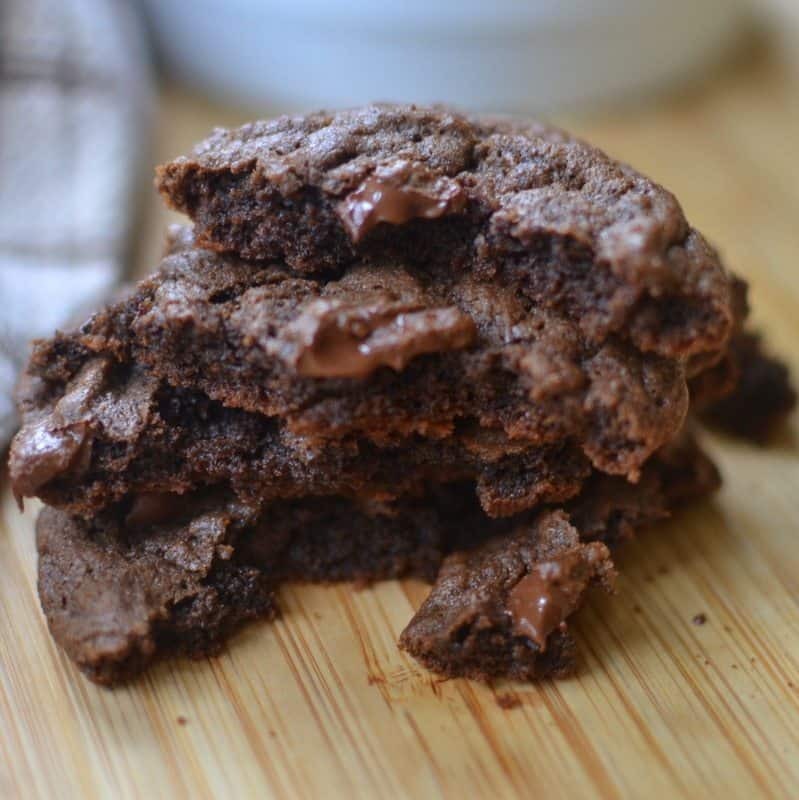 Do you know what the nutritional facts are for this recipe? Looks yummy! No I am sorry I do not. There are websites where you can plug in the ingredients and get the nutritional facts. The nutritional facts are a moot point when you are marking fudge!!! I would agree. You make me laugh! Did you use sweetened shredded coconut, or unsweetened? Thanks! Sweetened! Sorry about the delay. I was at the store. I don’t have a microwave. Presumably a double boiler would work, the old fashioned way? Yes it will work that way as well. No I don’t think…kind of risky! Hi! I just made your recipe, just waiting for it to set. I licked the spoon and it tastes amazing! How long does it take to set when its refrigerated? Could I leave it to set at room temperature (it would probably take longer I guess to set though)? I’d like to make these as Christmas gifts. How far in advance could I make them and what is the best way to store them before handing them out? You can make them any time. Store in an airtight container in the fridge. Merry Christmas! Oh my goodness… This is soooo ridiculously GOOD. I’m doing a Chicka Chicka Boom Boom birthday party for my 3 year old and was looking for coconut recipes to include in the menu. I found this, made it, and now we can’t stop eating it! I’m going to have to make another batch for the party! Thank you for the recipe. It is going in my “keeper” file. Thanks so much. So glad that you liked it. So sweet of you to take the time to leave such a sweet comment. Hope you have a great party! 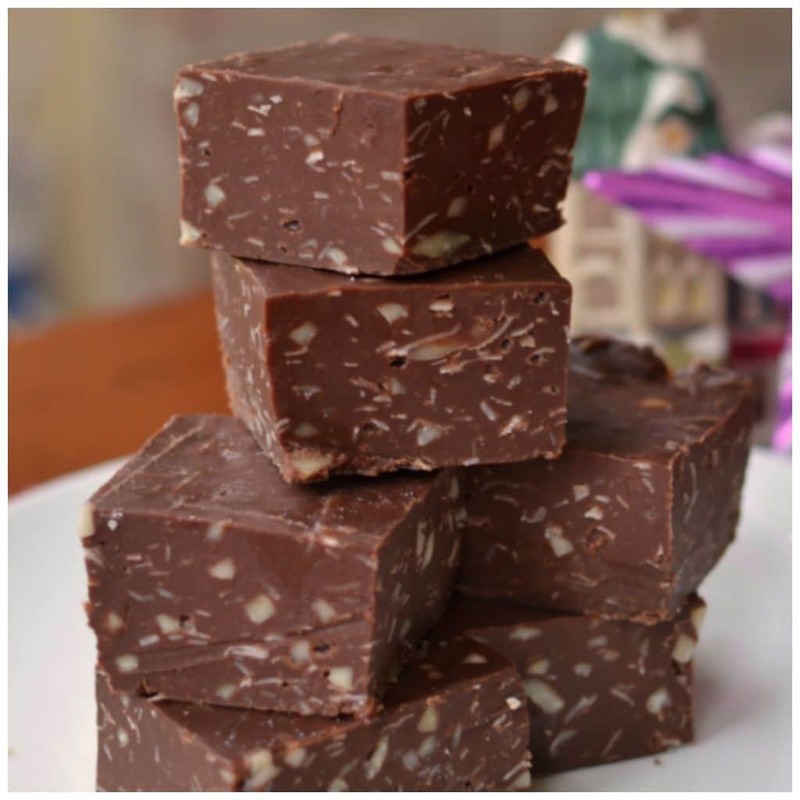 Cannot wait to try this fudge…looks amazing and amazingly easy. Thank you so much for sharing…. Thank you! I love that fudge too! I love sharing my recipes!! Can the finished product be shipped? It holds up without refrigeration? In this case I think some refrigeration (via a commercial icepack) would be advised. Especially if being sent to a warm climate. Can this fudge be frozen ? How far ahead can you make it and it still be good ? Yes it can be. Be sure to wrap well.